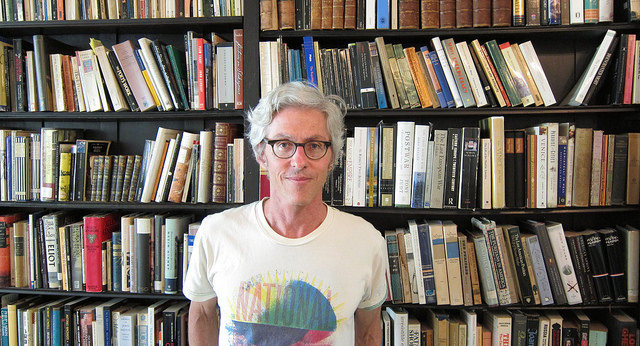 George Prochnik returns to The Virtual Memories Show to talk about his new book, Stranger in a Strange Land: Searching for Gershom Scholem and Jerusalem (Other Press). (We talked about Stefan Zweig back in 2014.) We get into the life of Jewish mysticism’s greatest scholar, how the theories of Zionism butted up against the reality of Palestine and Israel, the alchemical friendship of Scholem and Walter Benjamin, the way Kabbalah serves as the hidden, subterranean layer of Judaism, Scholem’s example of a life lived in resistance, the great contrast of Scholem with Prochnik’s previous biographical subject, Stefan Zweig , our author’s addiction to Jerusalem and the books he hasn’t escaped in 30 years, and whether Walt Whitman was an intuitive American Kabbalist! Give it a listen! And go buy Stranger in a Strange Land (and The Impossible Exile: Stefan Zweig at the End of the World , both from Other Press)! Enjoy the conversation! Then check out the archives for more great episodes, like my previous conversation with George! There are lots of ways to follow The Virtual Memories Show! iTunes, Twitter, Instagram, Soundcloud, Facebook, Tumblr, and RSS! George Prochnik’s previous book, The Impossible Exile: Stefan Zweig at the End of the World , received the National Jewish Book Award for Biography/Memoir in 2014 and was shortlisted for the Wingate Prize in the UK. 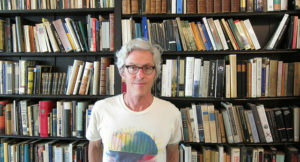 Prochnik is also the author of In Pursuit of Silence: Listening for Meaning in a World of Noise (2010), and Putnam Camp: Sigmund Freud, James Jackson Putnam and the Purpose of American Psychology (2006). He has written for The New York Times, The New Yorker, Bookforum and the LA Review of Books, and is editor-at-large for Cabinet magazine. 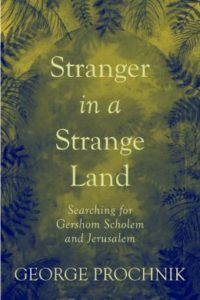 His new book is Stranger in a Strange Land: Searching for Gershom Scholem and Jerusalem . Credits: This episode’s music is Nothing’s Gonna Bring Me Down by David Baerwald, used with permission from the artist. The conversation was recorded at Mr. Prochnik’s home on a pair of Blue enCORE 200 Microphones feeding into a Zoom H5 digital recorder. I recorded the intro and outro on a Heil PR-40 Dynamic Studio Recording Microphone feeding into a Cloudlifter CL-1 and a Mackie Onyx Blackjack 2×2 USB Recording Interface . All processing and editing done in Adobe Audition CC . Photos of Mr. Prochnik and his family by me. The family one is on my instagram, and the solo pic (from our 2014 show) is on my flickr.